Does your resume need some updating? 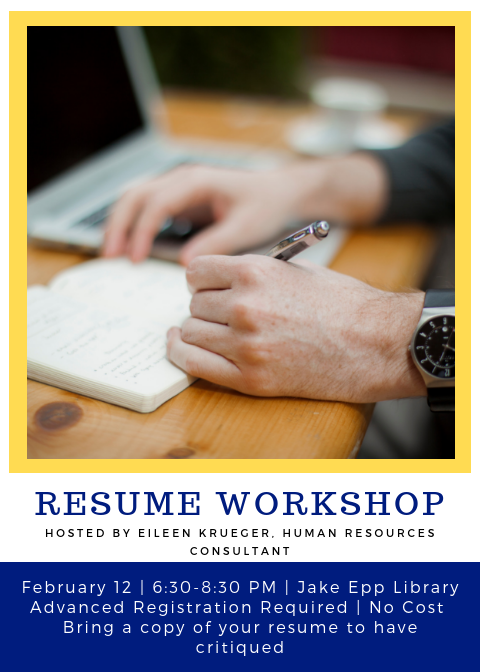 Sign up for our resume workshop with HR professional Eileen Krueger of Expanding Business Minds. Advanced sign up required. Bring a copy of your resume to have critiqued and we will walk you through the steps to creating an updated, professional resume.